The practice of pricing a property below market value has become popular recently in the Vancouver real estate market. The seller’s goal is to entice the maximum number of buyers, and therefore multiple offers, in the shortest time and to pressure them to battle each other in a bidding war until a clear “winner” is identified. 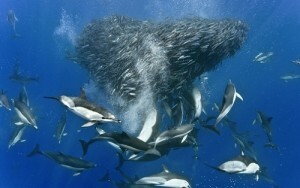 A feeding frenzy may be the best analogy. This strategy works best in hot neighborhoods where there are many more buyers than sellers. This is the worst situation for a buyer since it adds pressure to the purchase and often results in the need to eliminate subject clauses in order to have the best chance of “winning” the property in a bidding war. Sellers (and sellers’ Realtors) love this approach when it goes as planned. There’s always a possibility that an underpricing strategy could backfire and not attract any buyers to an initial offering. This situation can be identified when a property comes on the market and then shortly thereafter the price is jacked up substantially. If you can’t stand the added pressure as a buyer, bidding against multiple offers on an under-priced property may not be for you.